Jesus is the Sun of Righteousness who rose with healing in His wings. 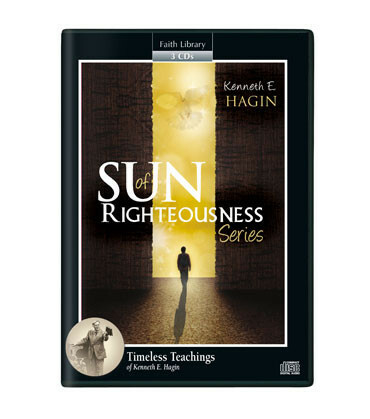 In this insightful 3-CD series by Kenneth E. Hagin, discover what this means for you as a believer. You can receive your healing today! From Genesis to Revelation the Bible contains God’s will for mankind. The Book of Malachi reveals Jesus as the Sun of Righteousness who has risen with healing in His wings. God’s desire for your bodily healing is just as real and true as His desire for your spiritual well-being. In this powerful series, Kenneth E. Hagin shares how Jesus yearns to drive out sickness, disease, darkness, and sin. No matter how hopeless the situation may be, when you open your heart to Him, the Sun of Righteousness will come in. Let His light shine in your heart and receive your healing today!